For those of you reading this post from Texas (near Allen), you won’t be surprised that this is about a photoshoot I recently did in the rain. It was quite an experience, so I thought I’d share it with you all. 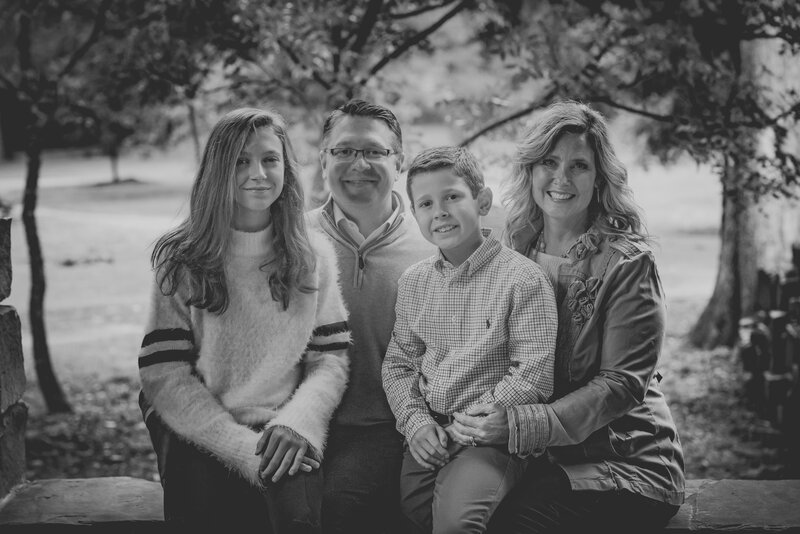 I recently offered some family photo mini-sessions to help raise money for my son’s 6th grade class. If families donated a minimum amount of money to the class fund, they would get 15 minutes with me and my camera, Blackjack, to try and capture a few family photos. Deal, right? With the holidays approaching, and many families looking to get the perfect picture for their Christmas/holiday cards, this was going to be just right. You can’t see this part of the picture, but to get this shot, I had to stand in a pretty epic mud puddle. I did have on hiking boots for this shoot, so my feet stayed dry, but the muddy water was up to my ankles! When we scheduled the mini-sessions, how could we ever have predicted what the weather here in Texas was going to do. If you’re from Texas, you know that the weather is very unpredictable. You can always hear someone saying “If you don’t like the weather in Texas, just wait a minute,” right? Well…in this case, the weather stayed the same for several weeks. It rained. And then it rained some more. And then it rained even more. In fact, it rained so much, it was beginning to feel a bit like Seattle around here. I love the way this large, black umbrella just looked sort of like a backdrop! Let the rescheduling begin! 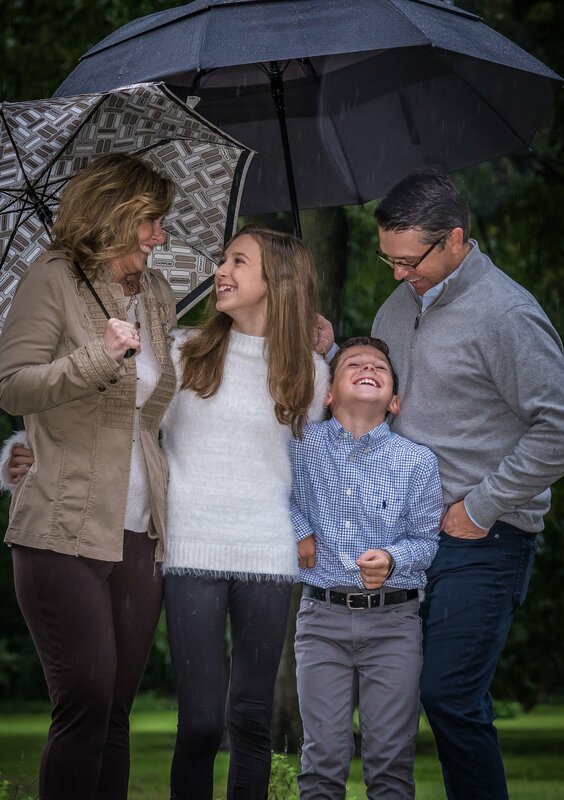 Well…there was one family who suggested that we keep the scheduled time because of complicated work schedules, and just do the photo shoot with cute umbrellas. Luckily, most of my gear is weather sealed, so that wouldn’t be a problem, but hair, make-up, and everything else might. I agreed to this, thinking it might be kind of fun, and I assumed the kids would come in rain boots and slickers and we would take a few pictures of them splashing in the puddles. Boy was I wrong…they walked up in their fancy photoshoot clothes with nice umbrellas and were ready for a “real” photoshoot. I was shocked but was certainly up for the challenge. 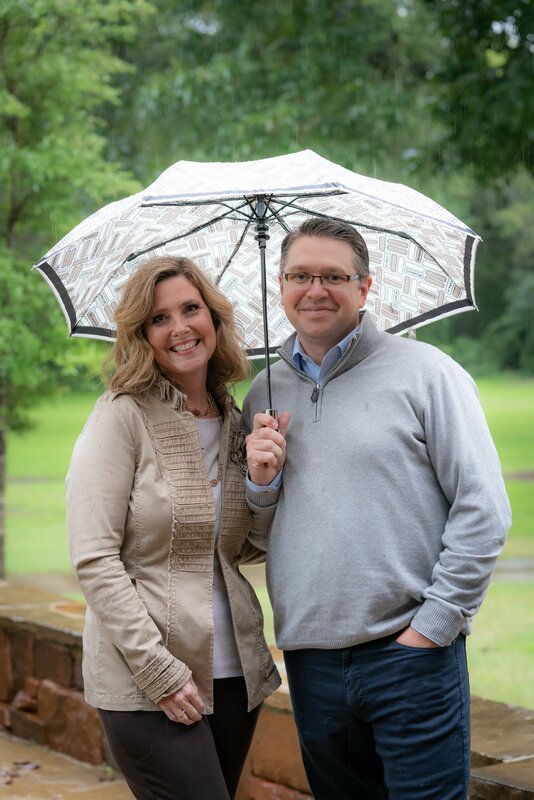 Fortunately, I had my friend along, and she quickly became my right-hand man – holding umbrellas over me, my flash, and the clients for a few shots without their umbrellas showing. It all turned out just fine, and I thought the pictures were precious. I also think that their card might be the most clever for this season. Anyone who receives one of their cards that lives around here, will certainly understand why their photos were taken in the rain. I’m sure her holiday card is all ready and printed, while some of the families who signed up with me are still trying to find a time for us to meet! Here’s hoping the weather cooperates this next week so we can finish up in time to get holiday cards printed before next year!